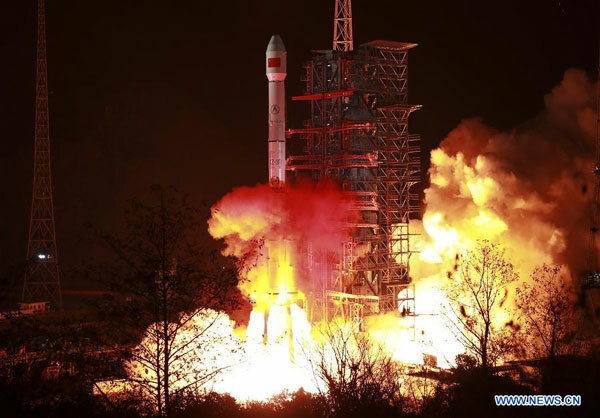 China sent Zhongxing-2D satellite into space on a Long March-3B carrier rocket from the Xichang Satellite Launch Center in Sichuan Province at 1:11 a.m. Friday. The satellite has entered the preset orbit. The Chinese-made communication and broadcasting satellite will provide transmission service for the country's radio, television stations and cable television networks. The Zhongxing-2D satellite and Long March-3B carrier rocket were developed and produced by the China Aerospace Science and Technology Corporation. This was the 298th mission of the Long March rocket series.